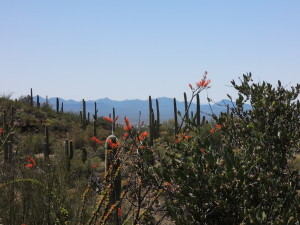 Tucson is a great town for tourists who enjoy the outdoors. While there are a few excellent museums located on the University of Arizona campus, the best activities are the ones that incorporate the outdoor activities and beautiful desert scenery. This is my all-time favorite Arizona activity. 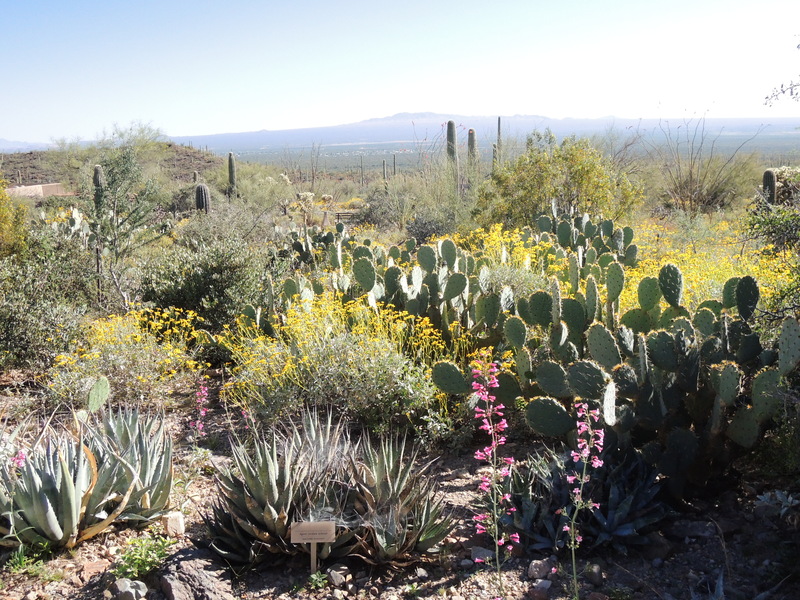 Located west of downtown Tucson and situated in the Saguaro National Park, this establishment is a cross between a zoo, botanical garden, and natural history museum. 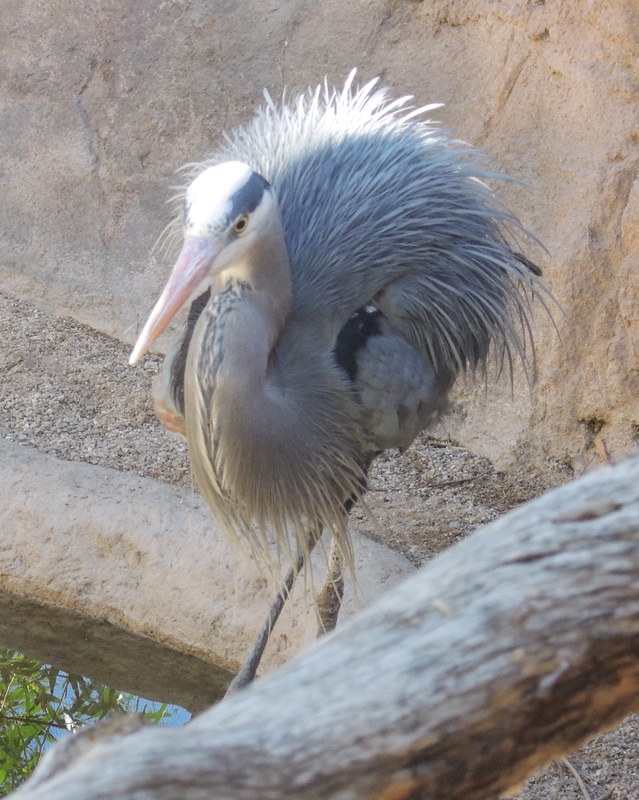 Visitors can spy on animals such as mountain lions, javalinas, big horn rams, or wander through a hummingbird aviary. This guy loved the camera. Most of the exhibits are located outdoors with a few subterranean or indoor displays. Guests follow paths which wend through the open desert and showcase a variety of flora and fauna. I recommend budgeting a good three to four hours for this – especially for first time visitors. There is so much to see and you’ll want to take your time soaking it all in. There are a number of restaurants onsite, however most close by 3PM. After that, there is one option open located by the museum entrance. The museum gift shop is one of the best places in Tucson to buy souvenirs. From Native American pottery to upscale southwestern jewelry, this shop provides a wide range of possible mementos. 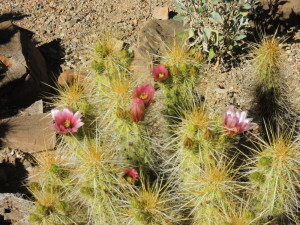 One of the many varieties of blooming cacti. A kickin’ hiking destination located in the Catalina Foothills of northeastern Tucson, Sabino Canyon is a must see. Trails range from beginner to advanced, and the entire Sabino area features diverse wildlife and ecosystems. If you enjoy the outdoors, this is worth a full or half day trip. Just remember to stock up on sunscreen and water and eat a good meal beforehand, as vending machines are the only food options onsite. Be forewarned, some of the trails include dizzying heights (along with fantastic views) so vertigo is a definite possibility for those used to lower elevations. If hiking isn’t your thing, the Sabino Canyon visitor center offers an educational, narrated tram tour of the Sabino Canyon area. As with hiking, visitors taking the tram will have the opportunity to view different ecosystems and wild animals. The last time I visited, I was lucky enough to see a wild gila monster! A beautiful desert campus (although surprisingly green in some areas) with unique architectural elements and an enormous student union, make for an excellent visit. The University has a number of museums such as the Arizona State Museum (anthropological), Museum of Art (student and professional), Center for Creative Photography (exhibits and events are open to the public), and Mineral Museum (located inside the planetarium building). You can easily spend one or two days bumming around campus and taking in all the U of A has to offer. Just off campus, on E. University Boulevard, there are a number of lively restaurants and stores. Frog n Firkin and Gentle Bens are both considered institutions and the food is pretty solid pub fare. I’m especially partial to Sinbad’s located in Main Gate Square, for fantastic Middle Eastern food at very reasonable prices. While you’re in this area, make sure to grab an iced tea from the Scented Leaf Tea House and Lounge. Brewing practically any variety of tea you can imagine, this shop will definitely quench your thirst (iced lemon hibiscus green tea, anyone?) and offers a discount on refills. Known as the “white dove of the desert” this is a really unique establishment. The mission is located on the Tohono O’odham reservation slightly south of Tucson. The gleaming white exterior stands in stark contrast to the bright blue Arizona sky creating wonderful photo opportunities. San Xavier Tours are offered at set times throughout the week. The tours are very informative, covering the history of the church and describing its architectural elements and artwork. The interior of the church is a rare melding of European and Latin American Catholicism with Native American tradition and design elements. 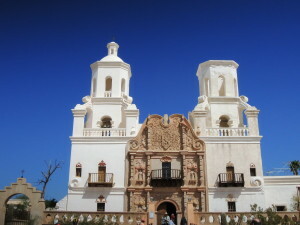 I can honestly say that I’ve never seen anything quite like San Xavier, and consider it a must see for the Tucson area. 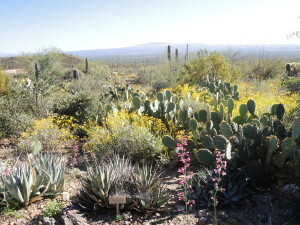 Tucson also functions as a great base to explore other towns in southern Arizona. Tombstone is an hour and thirty minute drive away and a quintessential old west experience. Bisbee is also an hour and a half away and a former copper mining town. Today, Bisbee is well known for its eclectic arts scene and mine tours. There are several cave tours available around the Tucson area as well. While these are very interesting and fun activities (and a great way to escape the desert heat) they are not recommended for claustrophobic tourists. Also, make sure to take your tour with a licensed professional outlet. Two well-known tours are the Colossal Cave Mountain Park and Kartchner Caverns State Park. Hopefully your Tucson hotel has a pool. In my opinion, a day spent by the pool is one of the best activities in this hot and dry climate! The Wayfaring Hedonist | Powered by Mantra & WordPress.